When it comes to Estate Planning, most of us think of the classic document that we’ve always heard references to—the Will. 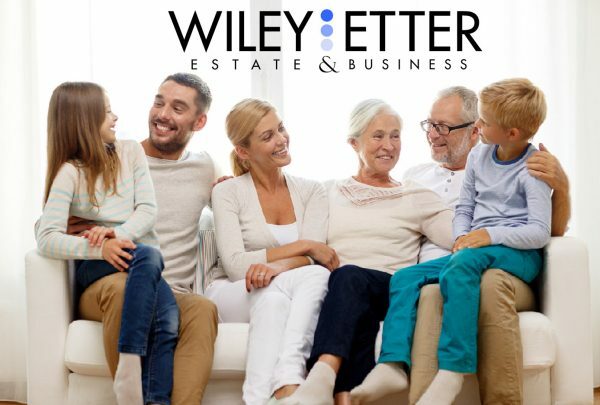 Wiley Etter, LLC is proud to introduce a better way to transfer money and other assets to your children that will truly set them up to thrive once you’re gone. The end result—you get to be your family’s Guardian Angel! A young boy’s parents die tragically when he’s 12. On his 18th birthday, everything that he inherited from them will become available for him to spend as he pleases. His parents had no reason to know that he’d be addicted to drugs and have many negative influences in his circle of friends. A 42-year old woman inherits from her mother. Her husband files for divorce some time later. The entire inheritance, which was deposited into a joint checking account, is exposed in the divorce proceedings. The ex husband just effectively became a 50% beneficiary! These examples illustrate that we are doing our children a horrible disservice if we fail to trust-protect money for them using our Guardian Angel Trusts. In legalese, it’s a “continuing lifetime trust” for your beneficiaries, built into your Revocable Living Trust. In practical terms, it’s a screaming declaration of “I Love You.” Why? These Trusts broadly protect against Divorce, Lawsuits and Creditors! This is possible because your children technically don’t “own” the money residing in these Trusts—the Trusts do. If we don’t own something, it can’t be taken from us. What’s more—you can also leave custom language, so that the exact purposes for which you’d want them (or not want them) to spend their Trust funds are plainly laid out.